Last time I promise you guys the pictures of my workplace. Well here some of them. The not so sensitive informations.The first picture is the sign in front of the building taken at night. 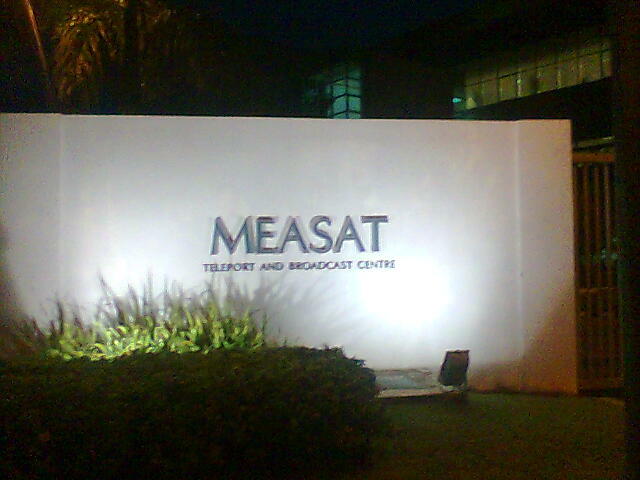 If you want to know what is MEASAT is, head here. This picture was taken after work as I always park outside the gate. Read the small print beneath the MEASAT word. Teleport and broadcast centre. The first time I read them, I thought “Wah, here got Star Trek teleportation device. 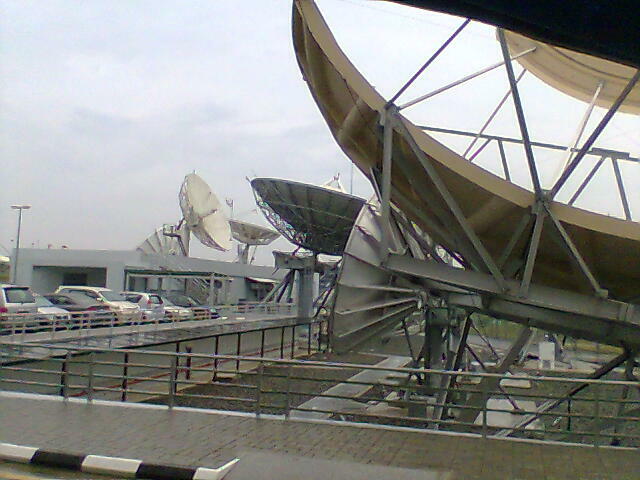 They can teleport using MEASAT woo.” Actually it stand for telecommunication port. Really misleading. All my images here are in bad quality. 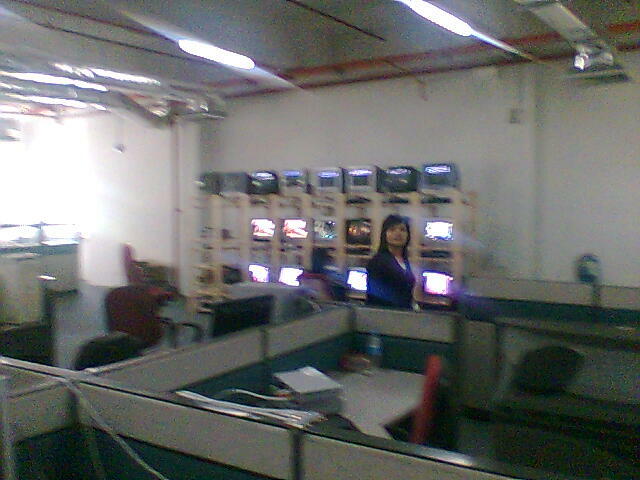 I took all these using my Nokia 5200 which only have VGA camera. Usually I use my Olympus camera to take pictures but I didn’t usually lug it around. As you can see, there are a lot of rack around. 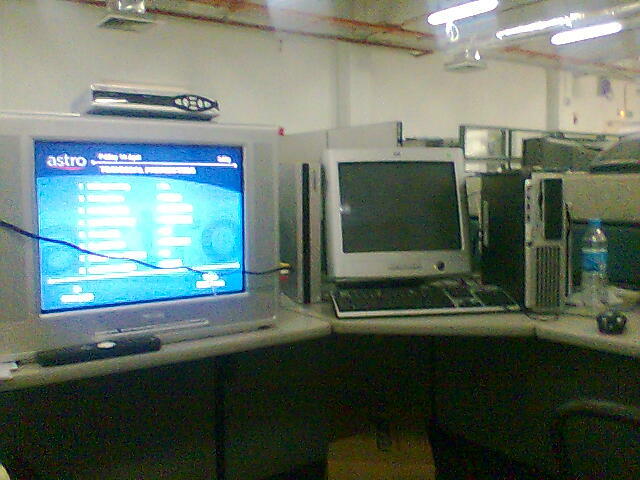 Each contain the equipment for Astro transmission. The mux, encoder bla bla bla. The guys in front is my fellow engineer, Azlan. Look at him about to meld into the rack. Ashraff and Emi, fellow engineers. Notice the people with blue uniforms. 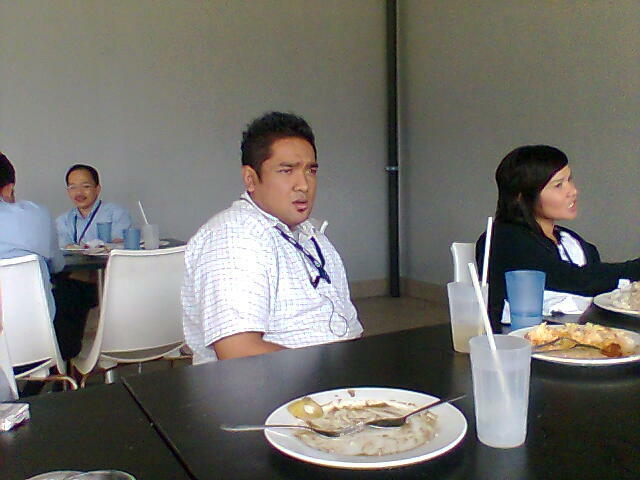 They are MEASAT workers. 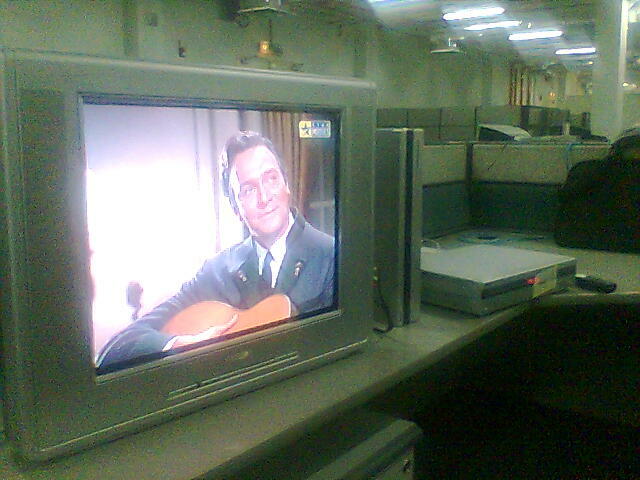 The TVs to be used for multi tasking viewing. I was testing the Astro Maxx. These machine can record the movies. And that guy is from the Sound of Music movie. The dishes after raining. There about 10 dishes located here.